Earlier today, the official synopsis for The 100 3×10 episode, Fallen, which airs April 7th, has been released. Yeah, I know what you are thinking, ‘Where is the synopsis for 3×09, Stealing Fire that airs March 31st?‘ I can’t say that I don’t blame you. To be honest, I haven’t a clue, but my guess that it will be available later this week. So, stay tuned! In the meantime, check out the Fallen description below! THE TRUTH HURTS — Jaha (Isaiah Washington) employs a terrifying new method to convince Abby (Paige Turco) to join his cause, Kane (Henry Ian Cusick) is on a mission, and Bellamy (Bob Morley) is hit with a hard truth. 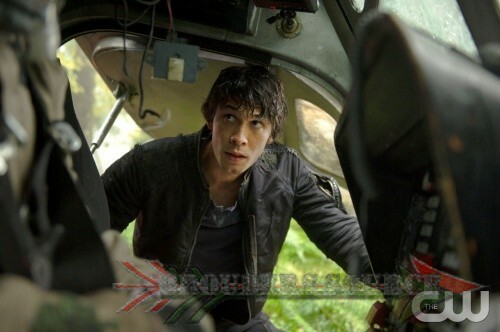 Meanwhile, Monty (Christopher Larkin) finds himself in a precarious situation, and Jasper (Devon Bostick) rushes to save one of his own. Eliza Taylor, Marie Avgeropoulos, Lindsey Morgan and Richard Harmon also star. Matt Barber directed the episode written by Charmaine DeGrate & Javier Grillo-Marxuach (#310). Original airdate 4/7/2016.